It’s OK to eat pizza every night while my family’s away…..right? 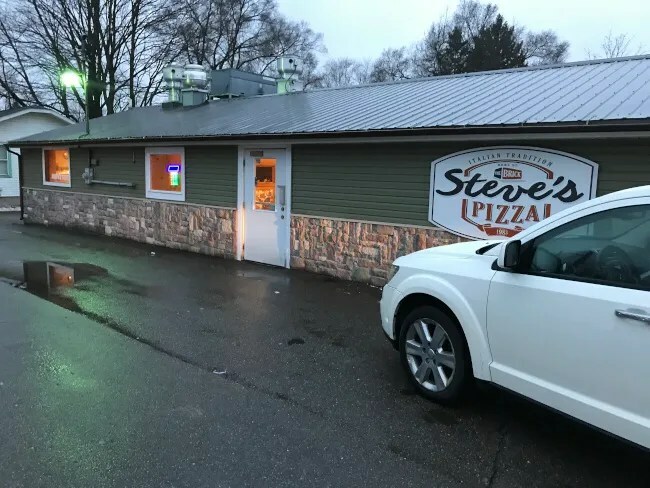 I actually wasn’t planning on eating pizza Monday night but we ended up in Battle Creek at dinner time which almost never happens. 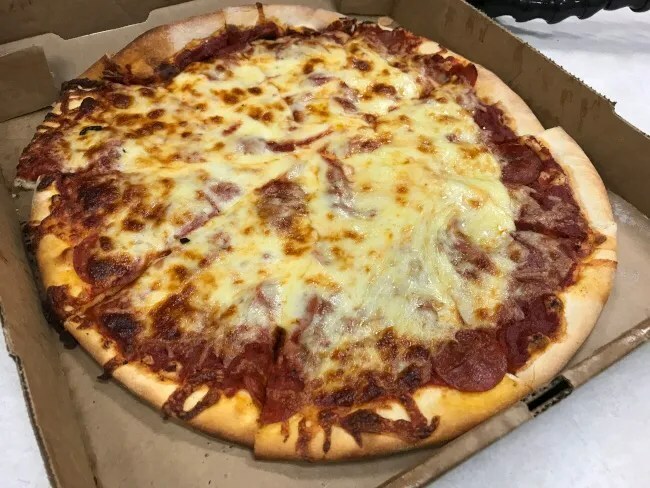 There’s a pizza place there with dinner only hours that I have heard so many good things about but had never been able to actually get to. 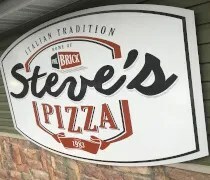 Steve’s Pizza has been on my radar for a long time. 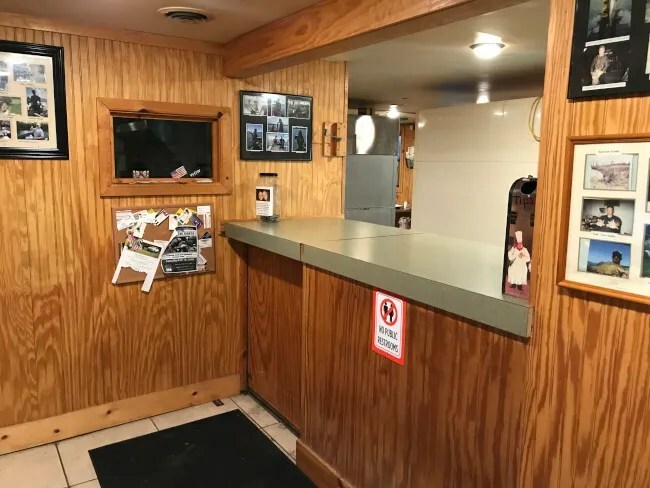 The small, carry-out only restaurant on Bedford Road right on the northern border of the City of Battle Creek has always gotten rave reviews but it was a viral news story that put it at the top of my list of places I really needed to get to. The building is pretty interesting. There’s not much of a public area at all despite the fact that the building looks to be pretty big. There’s an order counter right as you walk in directly in front of you. The waiting area is essentially just a hallway to nowhere. There are not chairs or anything. The decor is kind of awesome. 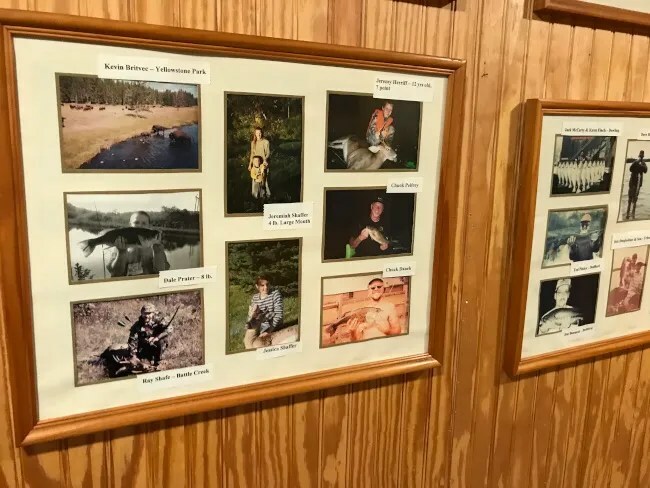 The simple wood panel walls are adorned with framed pictures of random people posing with the biggest fish they’ve caught or a deer before it’s mounted. 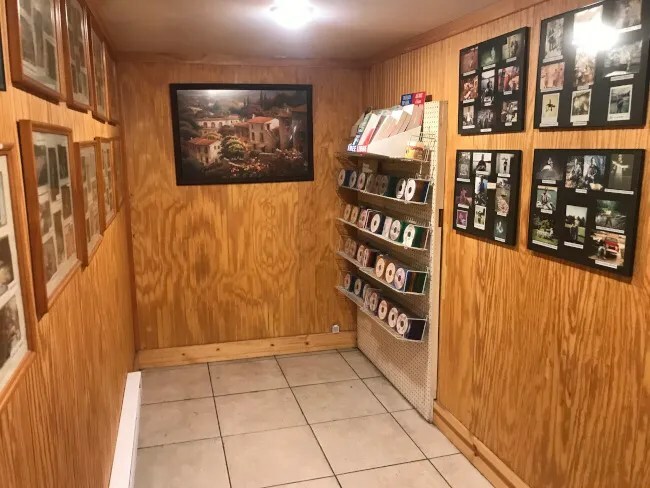 A lot of the photos look pretty old and many are taken on Polaroid. I was about ten minutes early to pick up my pizza after I phoned in the order. I gave the guy working the counter my name. He went looking for it and it was still in the oven. He didn’t cash me out yet though. He waited until the pizza came out. I was a little nervous that they wouldn’t take credit cards but they do so I didn’t have to make a run to the gas station across the street. I put in an order for a 14″ pepperoni pizza. I really should have done The Brick as that’s the one they’re apparently famous for but I just did an all meats pizza the night before someplace else. I had to wait until we got back to Kalamazoo before I could eat. My co-worker punched me when I got in the car because it smelled so good. I eventually gave him a slice because it wouldn’t be fair to make him smell that delicious pizza and not get a chance to try it. The pizza is about what I was expecting. 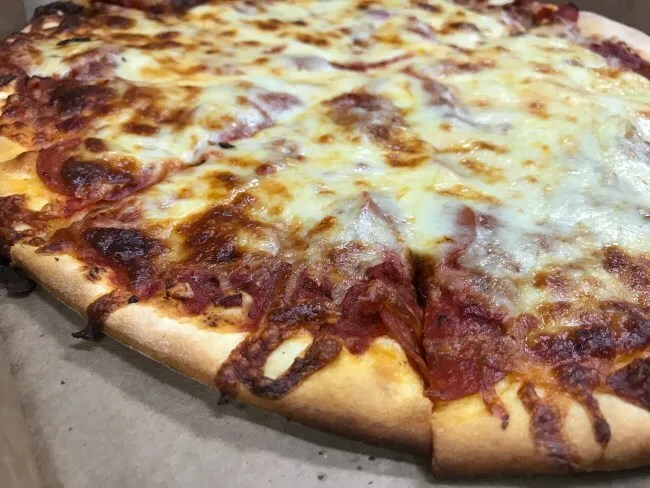 It’s a fairly thin crust covered with a generous amount of cheese and pepperoni. The pizza is a little greasy from all of those toppings but it’s a good kind of greasy. The sauce is laid on pretty thick and it’s kind of a toss up between sweet and tangy. It’s very close to being a sauce you could just eat with a spoon right out of the jar. The cost of my pizza was a little under $14 before tip. I ended up sharing with both my co-worker and a maintenance guy in our building because it so good I wanted others to try. It’s such a simple pizza but the flavor rises above so many other places with similar offerings. 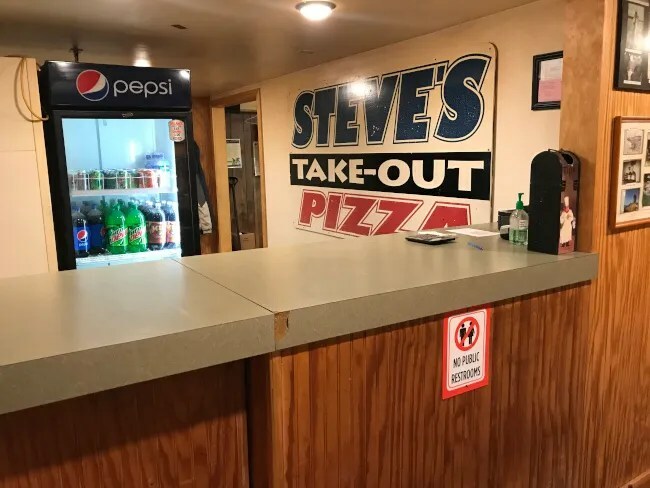 Like so many other people, I really wish Steve’s was closer. This is the type of pizza I would love to make a regular thing in our house.